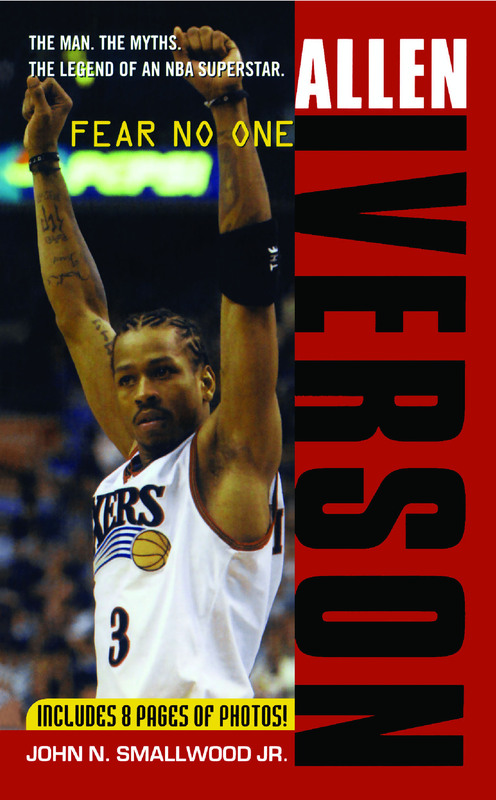 By John N. Smallwood Jr.
From his first days playing college hoops...to his turbulent early years in the pros...to his leading the Philadelphia 76ers to the 2001 NBA Finals and being named league MVP, here is the real story of controversial superstar Allen Iverson. Acclaimed sports journalist John Smallwood -- who has covered Iverson extensively -- shows readers the Iverson they never knew: the boy, the man, the rapper, the player, the role model, and the icon. Get to know ALLEN IVERSON...the man behind the legend.